A photography WordPress Theme can lead you to make visual and image professional website with minimal effort. Most probably photographers are love to make the stunning website for their personal use and business, meanwhile, WordPress provides a bunch of awesome themes and essential themes with amazing features and functionalities without any limitations. 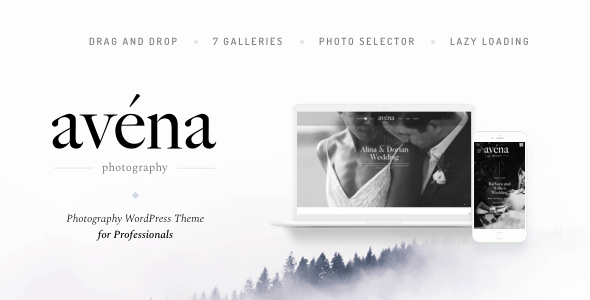 From those awesome themes, we have done a deep analysis to select the top class photography WordPress Theme for your business and personal use where you can grow the engagement. In this collection of photography WordPress Theme definitely you will be select one of the best theme for your business purpose and you don’t need to waste your time searching the best photography WordPress theme in the market, where you can showcase your collection of photography, skills, portfolio and more with allocated places with accurate design and layouts. All you need is just download the suitable theme and install it in your server just in simple steps without any technical knowledge. Additionally, all the themes are mobile responsive and optimized with all the devices including mobile, desktop and tablets. Exclusive features provide further improvement to your website, the list of themes which displayed here are consist of all major features and structures that you can apply with powerful admin theme options panels. The lens is an enjoyable premium WordPress theme specially developed for photographers to fulfill their needs to grow their engagement. Everything from this theme has developed and designed carefully and beautifully to attract visitors. Fast loading and fully optimized theme with beautiful layouts where you can showcase your photography and portfolios. 100% mobile responsive where visitors can access from any kind of devices such as mobile, desktop and tablets. Customize and extensive theme options to monetize your website with the advanced and easy process. As well as Lens compatible with full screen and boxed width, along with slideshows, grid layouts, galleries, and latest photography pot. Its greatly support for adding your videos to your website to showcase your talent and personal achievements. Integrated powerful social media plugin where you can spread your achievements around the world just by sharing them. Really simple way to import the demo content to make your website under one minute without and any coding knowledge, and highly customizable and editable as per your requirements. Uses unlimited colors to keep the brand of your websites, moreover, its support for WPML plugin to translate your website to multilingual. Absolutely new and modern WordPress theme with unique features. It has a nice homepage design with unique layouts that show. High-speed page loading and optimized for all devices with special display, resolution, and illustration. Additionally 100% fully mobile responsive with retina ready features. Develop with high-quality codes and well formatted where a developer can easily find any technical error, apart from that its offer GT3 page builder plugin for drag and drop page builder without any additional plugin. Carefully handled 650+ google fonts and 430+ font awesome fonts to add more visibility to diamond WordPress theme. SEO friendly content where you can rank your website on google with essential practice. Additionally, support for WPML plugin to translate your website to multi-language. Make your website just with one click by installing demo contents there your website ready up and go. Nice parallax auto load scroll and full-screen image and video background. Moreover, start your email campaign with the MailChimp plugin to grow your email marketing. A full-screen WordPress website theme with fully responsive layouts. Specifically for a photographer, with nice pre-built features where you can showcase your inbuilt proofing and event management accurately. As well as it has an additional theme option which includes proofing, events, full screen, portfolio, and galleries. Greatly support for Elementor page builder, which one of the great plugins making your stunning and custom pages just with drag and drop features in live preview mood. 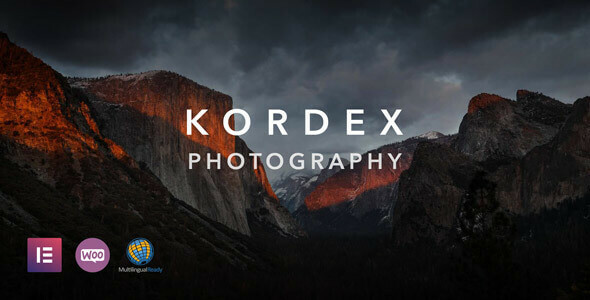 Well, document and great support from Kordex team to ensure customer satisfaction, and more than 9 years of WordPress theme development experience. This theme also having features to import demo content to make your website under one minute and just one click. 100% fully mobile responsive with retina ready feature where your user can able access from any devices. Powerful theme options panel to monetize your website under minimal steps, its offer bunch pre-defined features layouts where you can easily edit and customize as per your needs. Start an online store with Kordex by installing the WooCommerce plugin, which is a great way to make and manage your online shop with a simple process. 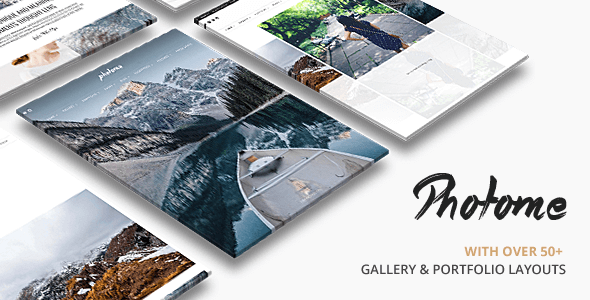 A professional looking WordPress theme specifically for developed to showcase the photos and gallery in a proper manner. It has an awesome theme options panel to control whole website process under one page, just with drag and drop cool features. In advanced it has editable and customizable layouts and design to make unique website development. Unlimited header option with a different design where can check out and select the best and suitable one. Additionally, 75+ layouts builder with elements and shortcodes to build an incredible website without any technical knowledge. Blazing fast, the Avena theme uses a technique to make web page faster and to give more user experience to visitors to keep visiting your website often. Pre-built review system that allows your customer or visitors to review your website. Clean and minimal WordPress theme with massive feature list for photography website to list down the portfolio and photo in a great way. It’s greatly supported for all devices and looks neat and uses animation & illustration. As well as the PhotoMe theme is really perfect for a photographer, creative designer, and design agency and related to other photography with one click demo content importer to make your website under one minute. It has 8 demos with unique categories for each where you can get an experiment before start your actual development, 50+ Gallery and portfolio templates to improve your development process more possible. Live customizer available to customize your elements, typography, and colors with instant preview. 100% fully responsive theme and check for compatibility in all devices and optimized content with retina display and illustrations. Fully customizable theme with multiple stunning homepage designs including a slider, horizontal, columns, masonry, splitting and much more. Highly compatible with visual composer page builder, which is the WordPress premium plugin for making an eye-catching web page with drag and drop features. Additionally, included real-time customizer to modify the fonts, colors, elements, and typography. Completely access from mobile devices with retina ready features and high display mood and animations. In advanced it has 3 different homepage layouts and 6 different gallery layouts to showcase your photography templates. 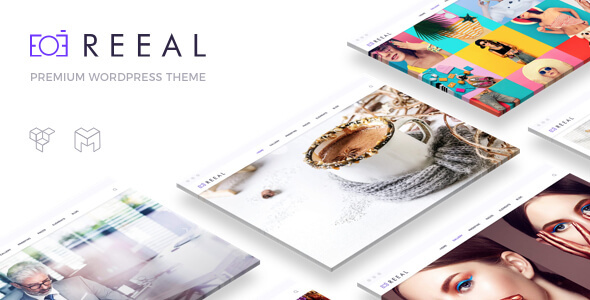 The reeal theme also uses a coding algorithm that can really perform high-speed page loading and security to prevent from unauthorized access, where it also developed in high codes and well-formatted codes that can easily edit and customize as per your requirements. All the pages and contents are ready to rank with reeal, mean coded with SEO friendly style to visible on google search result. Greatly support for WPML plugin translate plugin to convert your website to multi-language very easily. Wonderful WordPress theme for photography website with convenient feature list to monetize your website. 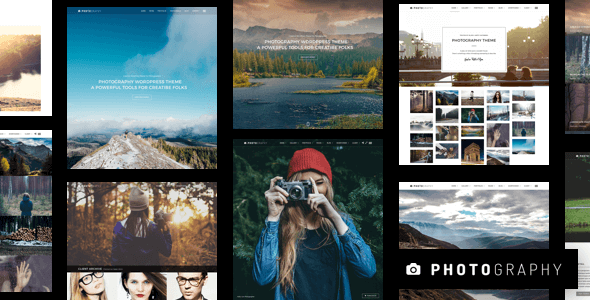 This theme is really perfect for photographers, photography studios, and photojournalist. Absolutely, fully editable and customizable them with no coding knowledge and additional plugins. The great feature of this theme is, included booked appointments plugin to direct contact with your customer and visitors to grow your website and business. The more flexibility is 100% mobile responsive where users can able to access from any kind of devices without any hassle. 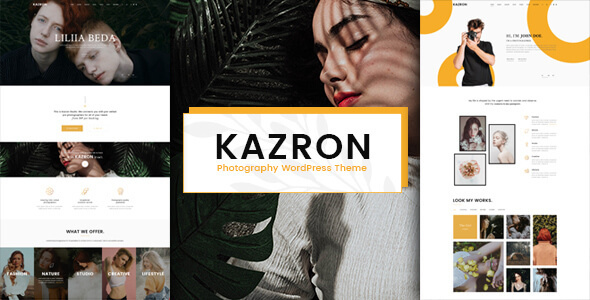 Moreover, Kazron included more than 20 homepage design and layouts with unique functionalities. Setup your website under one minute just by installing the demo content which included in the package. More and fine layouts with a 10+ design for you to choose the best one. In addition support for WooCommerce plugin to integrate your shop page with your website, and make online money. Visual composer page customizer and editor to make the stunning looking homepage and custom pages just with drag and drop features, while make manages your website with powerful admin theme options panel to look after the admin interface. 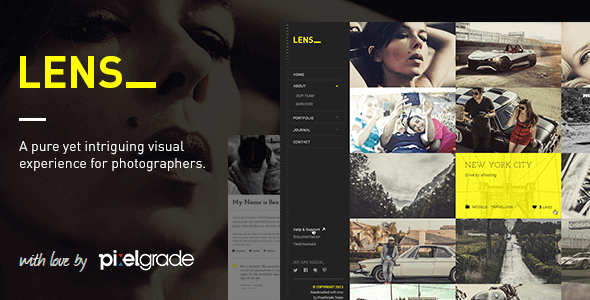 A classic photography WordPress theme with over 120,000 trusted customer around the world. 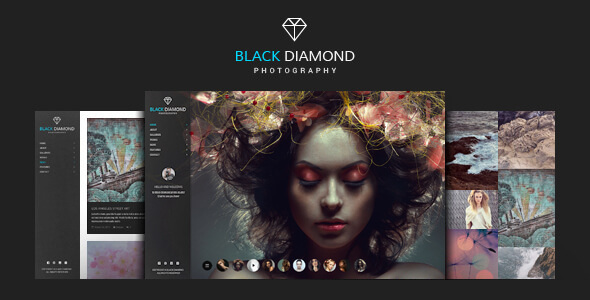 Photography theme is a responsive and clean WordPress theme for creative photography portfolio. Before the starting your development make sure to check the multiple demos to get a very good idea. It has pre-built features that can protect your work including password, right-click protection, image dragging protection and more. Over 70+ gallery portfolio layouts which developed uniquely and carefully. Additionally, uses Ajax technology to improve page loading performance and security, progressive image loading and infinite scroll to loading speed. Create your stunning page with live preview page builder without even a single code knowledge.